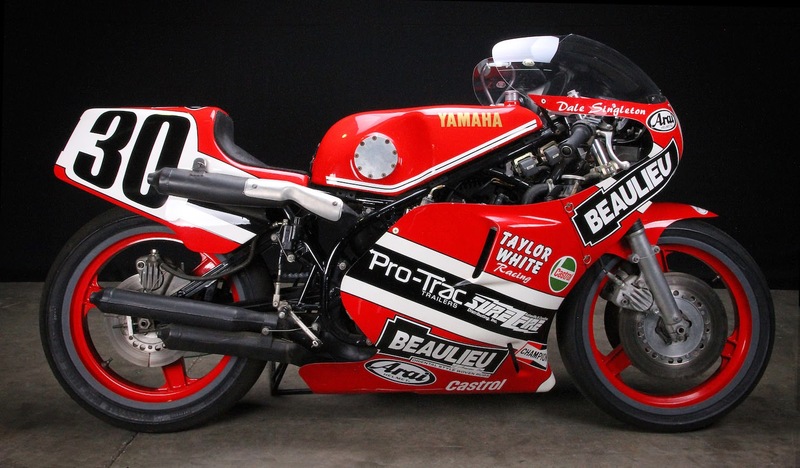 The Yamaha TZ750 is a motorcycle that anyone who watched motorcycle racing during the 1970s will remember well, the machine was an absolute monster and quickly gained a reputation for whitening the face of anyone brave or stupid enough to climb aboard and attempt to set a reasonable lap time. When it was first introduced in 1974 the bike had a capacity of 694cc and had been created by joining two 350 engines from Yamaha’s product line, the TZ750 has a short wheelbase, primitive suspension, an insufficiently strong frame and tires that just couldn’t withstand the 90+hp that the bike was producing. Kel Carruthers, himself a former world champion racer, had been invited to Japan to test ride the prototype in 1973. 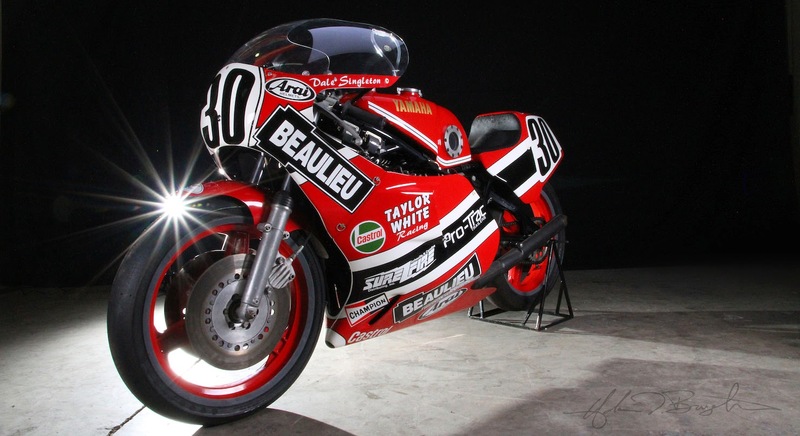 He found that the bike would begin tank-slapping violently at any speed over 160mph, a problem he fixed by extending the swing arm by 2 inches and adjusting the suspension. 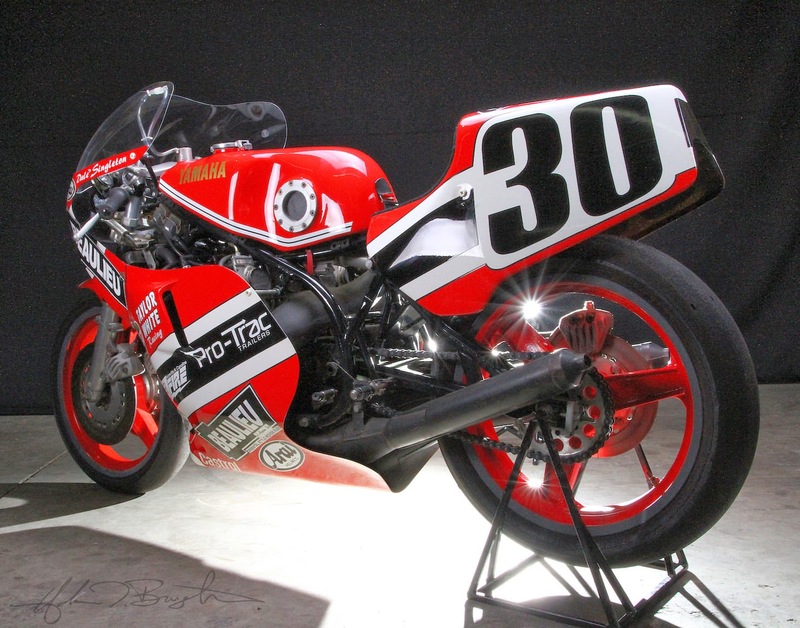 Despite these modifications the TZ750 was far from a rider-friendly motorcycle and in its early days in competition, few men other than Kenny Roberts could set a lap time faster than the boys on the 350s. By 1979 the bike’s teething issues had been worked out, a monoshock had replaced the twin springs on the rear, more advanced forks were added up front, a far stiffer, triangulated frame had been developed and the engine size had been increased to 750cc. 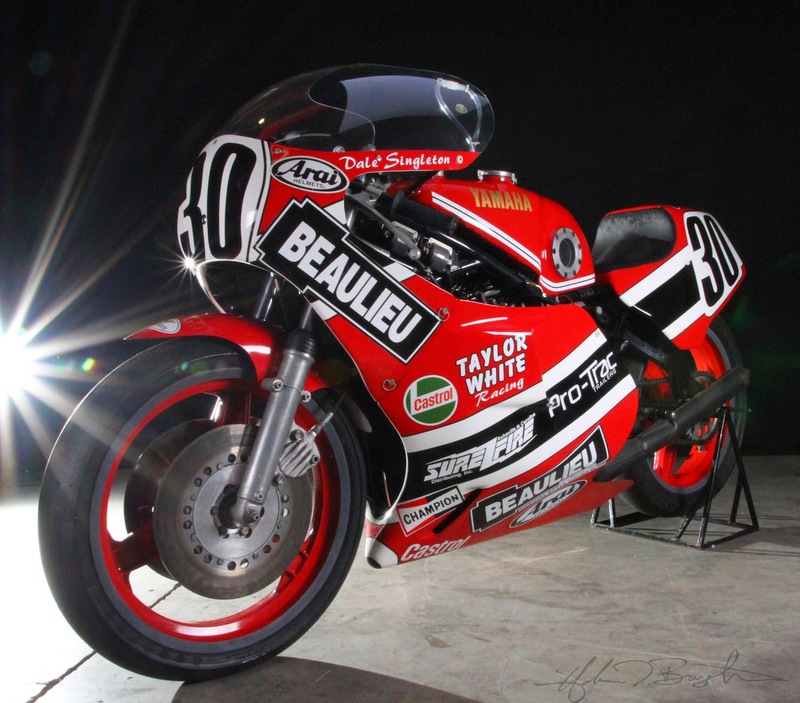 This updated bike was to be the last race bike owned and successfully competed by Dale Singleton throughout the 1979 AMA season and the bike that he would ride to victory at the 1979 Daytona 200. As a privateer racer, a win at Daytona against the biggest factory teams in the world was a genuinely incredible feat. Dale was a hugely popular racer and had mastered the art of befriending the crowd, one of his competitors nicknamed him the “Flying Pig Farmer” as a reference to that fact that Dale’s girlfriend’s parent’s raised livestock. Rather than taking it as an insult, Dale embraced the moniker and even went so far as to bring a baby pig to each race, which he would then collect before scaling the podium steps. The crowds loved him for it and European race promoters paid him extra to bring a his piglet mascot to races on the Continent, Dale would sneak off the day before each race to a local pig farm and spend as long as it took running around in the mud and contending with protective piglet mothers in order to make sure he had a suitably cute piglet to hoist in the air from the podium. 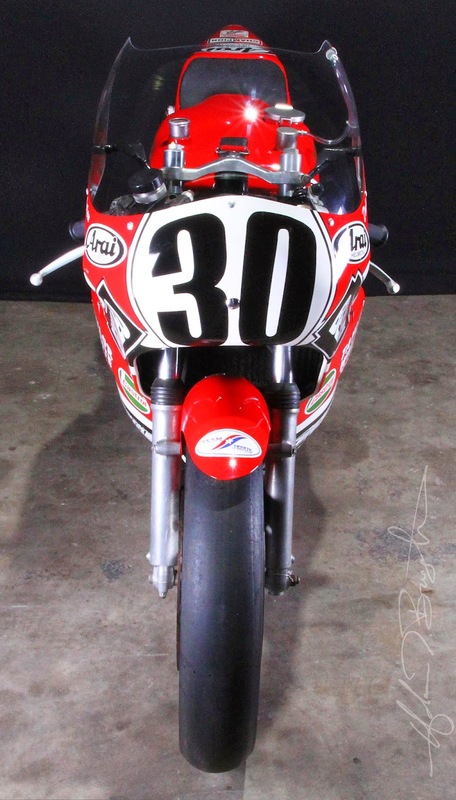 The bike you see here is Dale’s 1979 Yamaha TZ750, the same one he piloted to his popular win at Daytona and close second place in the world championship that year. 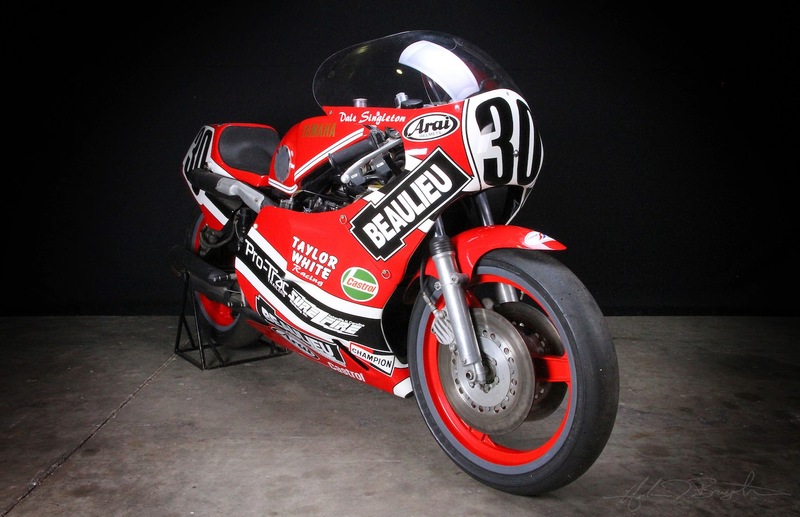 In late-2014 the bike will be coming up for auction, so if you’re in the market for a little racing history you can click to visit DaleSingleton.org and enquire after the bike.